Click around the site and you can get a feel for my food likes and dislikes. Mushrooms and tofu are limited while sweet potatoes and quinoa are featured nearly once a week. Smoked paprika is another flavor I use quite a bit. It’s smoky, earthy, and sweet all at the same time. The potatoes soak up this flavor and the blue cheese is such a sharp contrast that it works well wit the smoky flavor. One note: make your blue cheese dressing. It’s easy and so much better than the store-bought dressings. 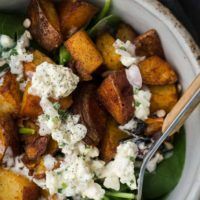 An easy and beautiful winter salad that features Smoked paprika potatoes paired with spinach and an easy, homemade blue cheese dressing. Cut potatoes into 1/2″ cubes. Dice onions into similar sized chunks. Place the potatoes and onions in a roasting pan. Mince garlic and add to pan along with the heavy cream, paprika, salt, and pepper flakes. Using a spoon or your hands, toss everything together so that potatoes and onions are coated. Bake for 10 minutes, stir, and bake for another 15-20 minutes or until potatoes are tender. Remove and let cool. Make the blue cheese dressing according to directions. Assemble salad with slightly cooled potatoes, spinach, and the dressing. 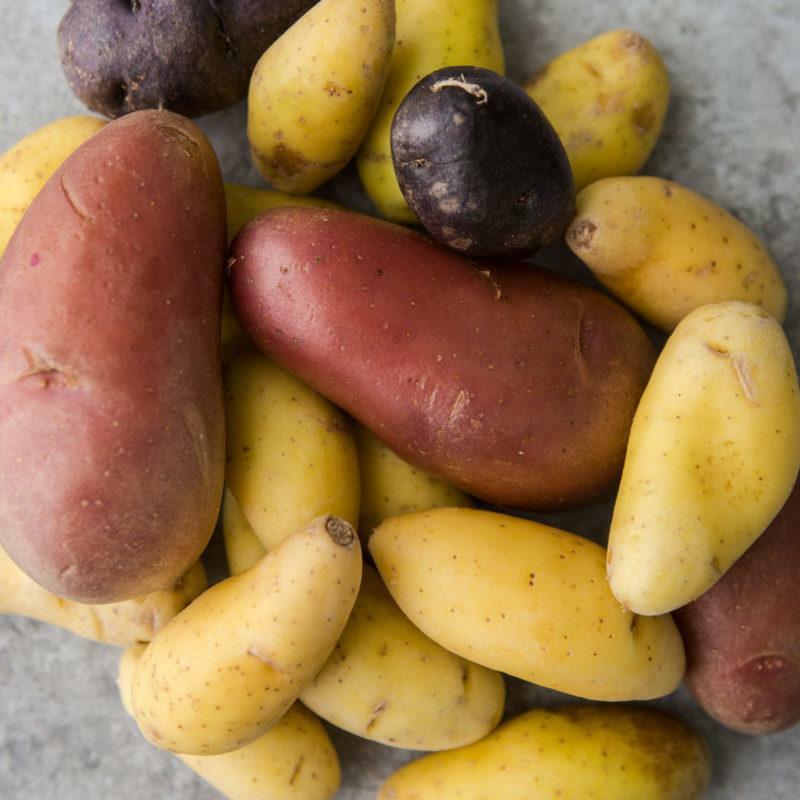 Tips & Tricks: Let the potatoes cool before tossing with the salad to prevent the greens from wilting. 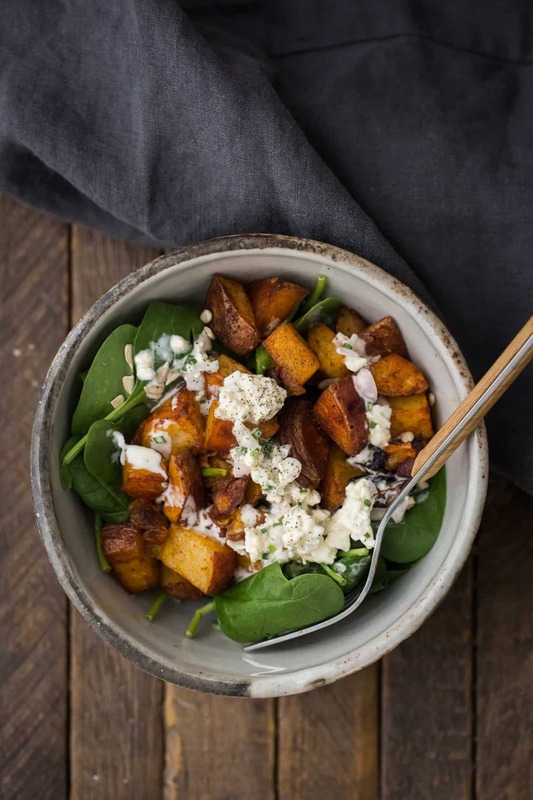 The roasted smoked paprika potato is the focal point of this salad but the blue cheese dressing isn’t far behind. There are a few swaps, however, that I’ve made and had the salad come out a success. 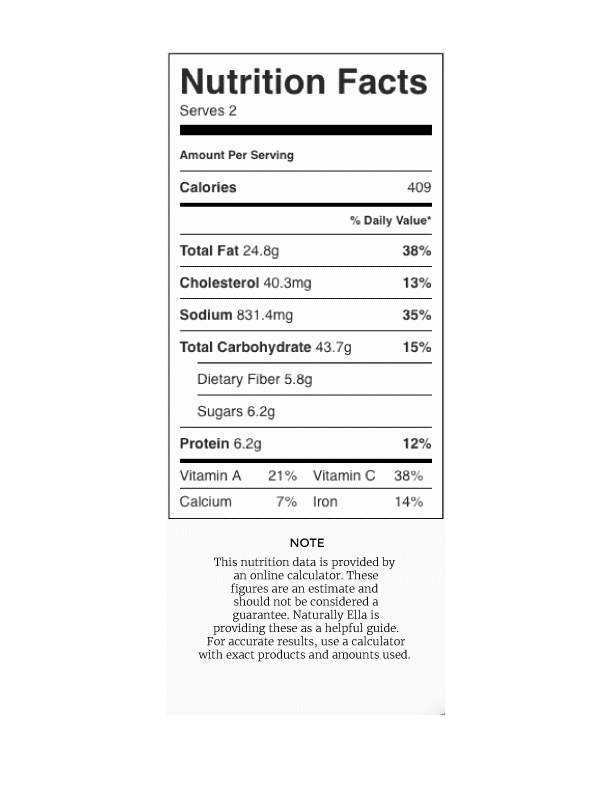 Sweet Potatoes: cube sweet potatoes and use in place of the red potatoes. Olive Oil: Swap out the heavy creamy for a tablespoon of olive oil. I like the richness the heavy cream provides but the olive oil would provide a nice crispness to the potatoes. 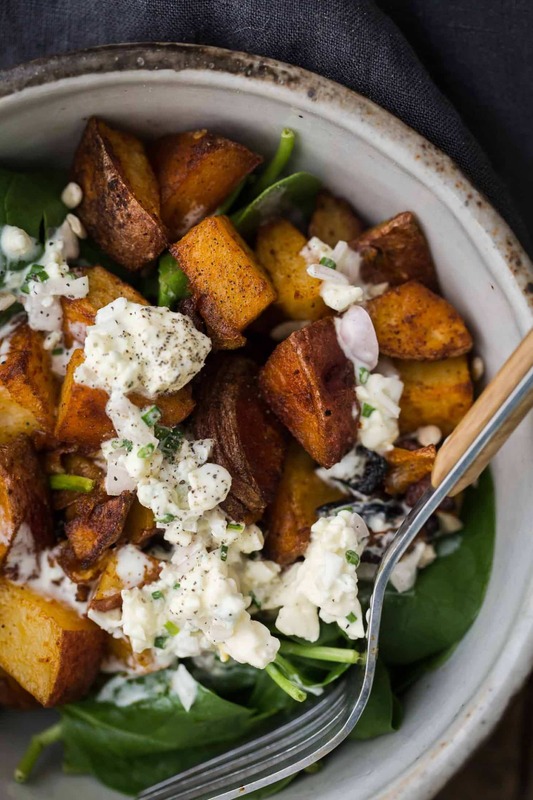 Vegan: I really love the blue cheese with the smoked paprika potatoes but this herby hemp dressing would be nice as well. Also use the olive oil option above. I have tried this recipe last week with the heavy cream and loved it!!! The only thing I changed was the spinaches: I fried them in a pan and served them along with the potatoes as a side dish, and it was really good. I will definitely make the spinach salad with cheesy dressing in summer.